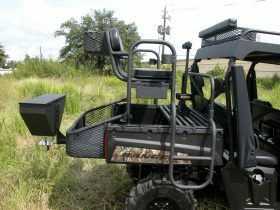 The Lamco UTV Road Feeder is designed to fit perfectly on your Ranger, Mule or other utility terrain vehicles. 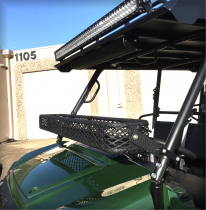 The road feeder fits into the receiver of your UTV and gives you the most ground clearance while still being able to lower your tailgate. Worried about those rough ranch roads? 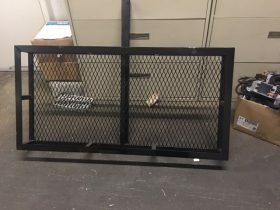 We build this feeder using heavy gauge material with all weld construction to withstand the terrain. 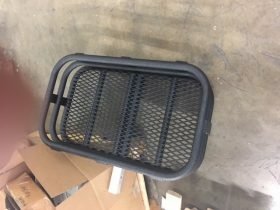 Our spinner plate is designed to work in harsh conditions and no corn will be wasted when not in use. 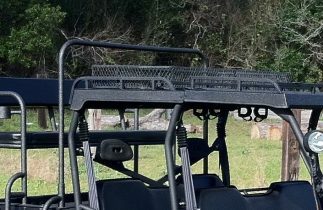 The Lamco UTV Road Feeder features stainless steel cup plate, 12 volt accessory cord and an all weather rubber latch. 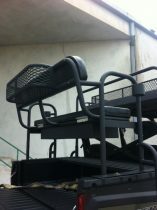 The Lamco 50lb. 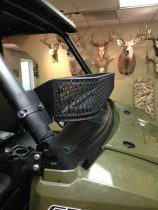 Road Feeder is designed for feeding deer on the go. 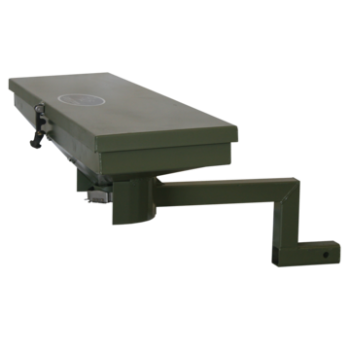 Mounting to a 2” receiver, the road feeder is designed to mount to the front or rear of your vehicle. 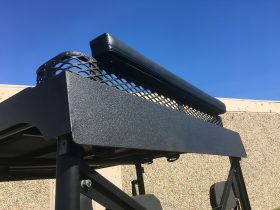 The sleek design of the Lamco Road Feeder allows you to lower your tailgate with the feeder in place, and the all welded construction and heavy gauge material make this a very reliable, tough unit. You won’t even have to worry about the top opening on bumpy roads, the lid is tight and secure with an all-weather latch. 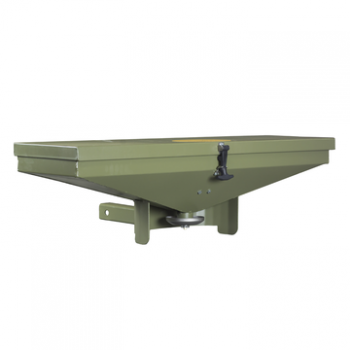 The Lamco Road Feeder is equipped with a stainless steel cup plate, 12 volt motor and 20’ power cord. The 12 volt heavy duty sealed motor is mounted inside to keep it clear of dirt and debris. Also available in 100 lb.